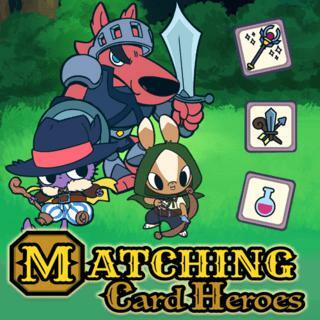 Go on an adventure with three brave heroes in this exciting matching cards game with RPG elements. Fight evil creatures lurking in the forest by finding identical cards on the field. Remember their positions at the start of the level and battle your opponents. Attack with different weapons, heal, defend and upgrade your stats - it's up to you to use the right strategy. Improve your memory and try to complete all levels!